Losing weight, especially 100lbs or more, is a spectacular achievement that should be celebrated. It is the reward of weeks and often months of hard work and dedication, both in the gym and in the kitchen. Most people say that one of the things they look forward to most is the radical change in their outward appearance. Unfortunately, there is a side affect of massive weight loss that most people are unaware of, yet are often affected by—extra, lose sagging skin. As we gain weight over the years, our skin has to stretch to accommodate the extra bulk. However, in the situation of massive weight loss the skin often will not return back into its natural starting position as one might hope. Instead, as body mass is reduced the body’s skin is left loss, hanging and sagging in unwanted places. This occurs over the entirely of the body, including the face and neck, and can be an unwelcome surprise for those who complete a major weight loss. Board certified facial plastic surgeon, Dr. Kevin Sadati, has developed a revolutionary procedure to correct and remove the excess skin called the Natural Facelift. Dr. Sadati has been nationally recognized for his self-developed facial muscle tightening technique, and published in major plastic surgery journals and publications. He often combines this renowned technique with Facial Fat Grafting utilizing Platelet Rich Plasma (PRP). By performing these two facial rejuvenation procedures simultaneously, the face is restored to its natural youthfulness, combating the affects of major weight loss. Dr. Kevin Sadati is one of the top California facial plastic and ENT surgeons specializing in minimally invasive facial and nasal surgery. He is board certified by the American Osteopathic Board of Otolarynology/ Facial Plastic Surgery (AOBOO-HNS), Diplomate of the American Board of Cosmetic Surgery (ABCS) and a member of the prestigious American Academy of Facial Plastic & Reconstructive Surgery (AAFRS). Dr. Kevin Sadati has over a decade of experience in the field of facial plastic and reconstructive surgery, as well as nose and sinus surgery, and has become one of the most sought after Newport Beach and Orange County facelift, rhinoplasty, face and neck liposuction and sinus surgery specialists. For more information about Dr. Sadati and his nationally recognized practice, visit http://www.drkevinsadati.com. Additionally, hor d’oeurves and refreshments will be served for guest enjoyment. This popular event is expected to book up quickly and interested parties are encouraged to reserve an appointment promptly to ensure participation. Call the Atlanta Institute for Facial Aesthetic Surgery at (404) 256-5428 for more information or to reserve a spot at the Mother’s Day event. The Atlanta Institute for Facial Aesthetic Surgery always stays abreast of the latest technology and techniques for facial rejuvenation. Dr. Pradeep K. Sinha and Dr. William E. Silver of Atlanta Institute for Facial Aesthetic Surgery provide all patients with the highest quality solutions for their facial concerns. Custom-tailored programs and procedures are suggested based on individual circumstances and desired results. Minimally invasive treatment is always emphasized for the safest, most effective and natural results. 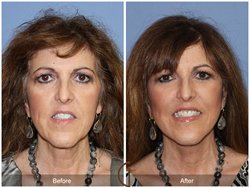 The Atlanta Institute for Facial Aesthetic Surgery specializes in facial aesthetic and reconstructive procedures. Founded by Dr. Pradeep Sinha, a double-board certified surgeon in otolaryngology and plastic and reconstructive surgery, the Atlanta Institute for Facial Aesthetic Surgery provides patients with customized procedures to achieve natural facial enhancement with minimal downtime. Functional surgery of the head and neck is also performed, helping patients with reconstructive needs as a result of injury or natural, physical irregularities. The Atlanta-based practice is focused on aesthetic facial rejuvenation with the most complete set of advanced surgical, laser and office procedures. For more information, visit http://www.facialaestheticsurgery.com.